The Atari 2600 was a games console released in 1977 and was also known as the Atari VCS (Video Computer System). The Atari 2600 games console was one of the first to implement a cartridge system for loading games - the games were programmed onto chips within the cartridge and was sold with two joysticks, a pair of paddle controllers and one game cartridge (originally Combat, but then Pac-Man). Sales started slowly, with the original American made units heavy and expensive to produce. However, once production moved overseas to Hong Kong, sales started to pick up, particularly as more games were released for the console, including Space Invaders and Pac-Man, with almost 8 million units being sold in 1982. In 1980, the Atari 2600 was given a minor revision in which the left and right difficulty switches were moved to the back of the console, leaving four switches on the front. Other than this, these four-switch consoles looked nearly identical to the earlier six-switch models. In 1982, another version of the four-switch console was released without woodgrain. 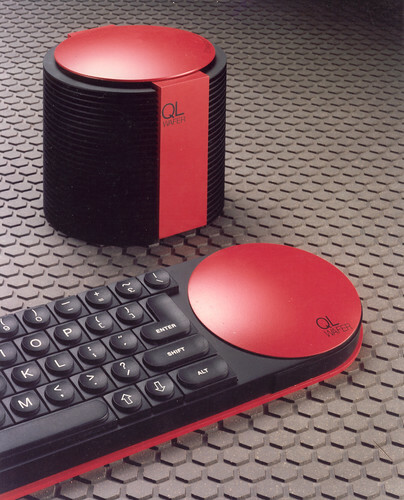 They were nicknamed "Darth Vader" consoles due to their all-black appearance. These were also the first consoles to be officially called "Atari 2600", as the Atari 5200 was released the same year. The Atari 2600 continued to be popular - in 1986, a new redesigned version of the 2600 was released, which, unofficially referred to as the 2600 Jr., featured a smaller cost-reduced form factor with a modernized Atari 7800-like appearance. The redesigned 2600 was advertised as a budget gaming system (under $50) that had the ability to run a large collection of classic games. With its introduction came a resurgence in software development both from Atari Corp. and from a few third parties (notably, Activision, Absolute Entertainment, Froggo, Epyx, and Exus). The Atari 2600 continued to sell in the USA and Europe until 1990, and in Asia until the early 1990s. 4 gün, 06h:05m:11s £3.50 Hemen al! 2 gün, 15h:03m:05s £3.50 Hemen al! New (2016) Atari 2600Jr Select & Reset Switch Mylar 2 gün, 15h:03m:05s £3.50 Hemen al! 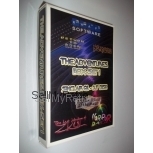 STM32 SD Cartridge for Atari 2600 2 gün, 22h:03m:56s £41.50 Hemen al! 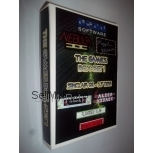 New (Old Stock) Atari 2600Jr Select & Reset Switch Mylar (OEM) 4 gün, 06h:05m:11s £3.50 Hemen al!